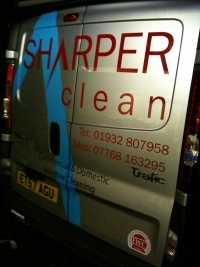 Simple, clean design just using lettering to create impact and at the same time promote the company name and logo. 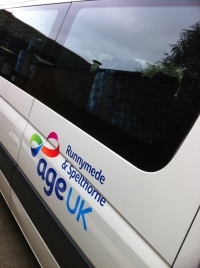 Cast vinyl lettering, solvent printed in bespoke corporate colour. 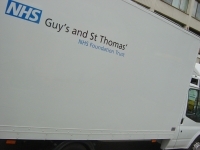 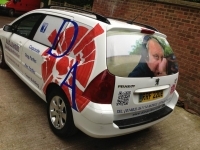 A great example of what can be achieved with vehicle wrapping. 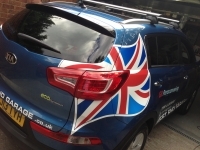 Shown, a Kia Sportage with a simple design and layout. 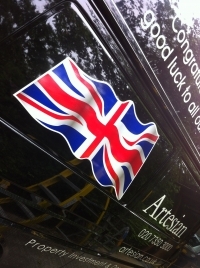 The union jack wrapped around both rear quarters of the vehicle in addition to graphics on the sides and bonnet. 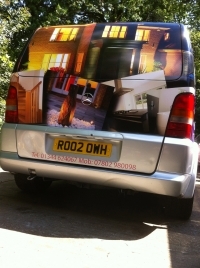 Full Colour Cast vinyl graphics, applied to the doors, bonnet, sides and rear. 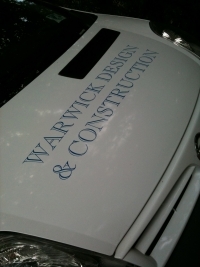 Including new logo design. 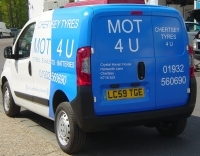 Combination of full colour and vinyl cut lettering with a clever introduction of a QR code to attract people to your company website! 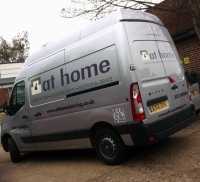 Please see 'At Home Catering' testimonial. 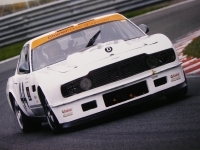 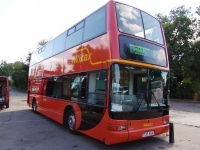 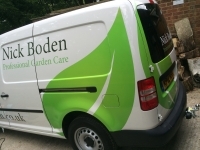 Full colour and vinyl cut graphics make up his eye catching livery. 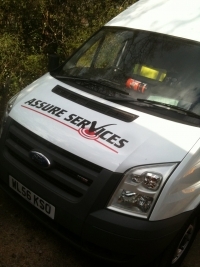 Tormax UK Ltd Engineers Vehicle livery - An example of fleet work. 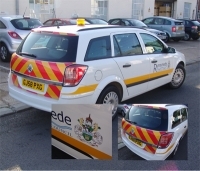 Vinyl cut lettering - Vehicle liveryrnrnExample shown - Doble vehicle livery. 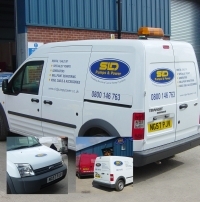 At Signwright we are happy to supply and fit one vehicle or a company fleet. 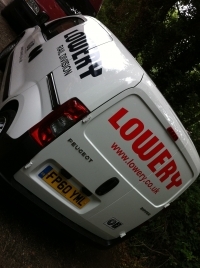 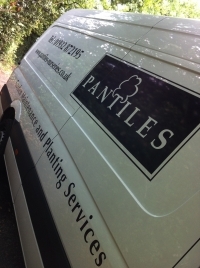 Simple clean and elegant vinyl cut livery, giving an extremely professional look to this fleet of vehicles. 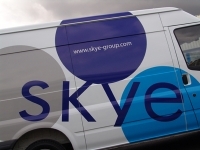 Please see this companies testimonial. 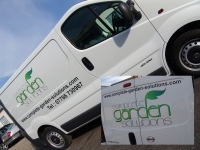 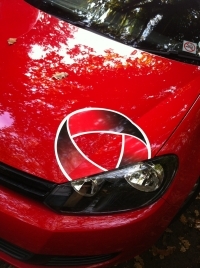 If you want an interchangeable solution to vehicle graphics, magnetic decals might be just what you are looking for! 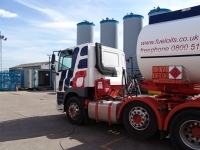 Vehicle livery on 6 wheeler tanker, example of fleet work. 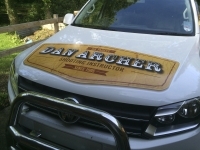 Silk screen printed truck curtain with vinyl graphics on cab. 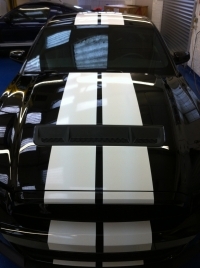 Quarter vinyl wrap in full colour, showing clearly how punchy vinyl graphics can be! 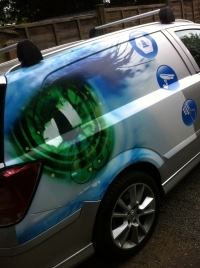 A part vinyl wrap of a VW Caddy Maxi, full colour printed cast vinyl with a contour cut outline, creating a stunning effect.